If you are traveling with kids, you can probably tell a thing or two about their enthusiasm when it comes to museums. They groan and whine and complain, right? 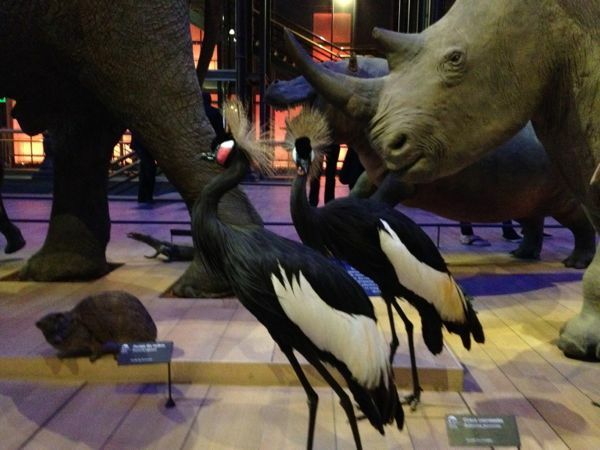 Why don’t you try the Musée d’Histoire Naturelle to change their minds a bit? It’s a real must for kids. The museum has several departments. 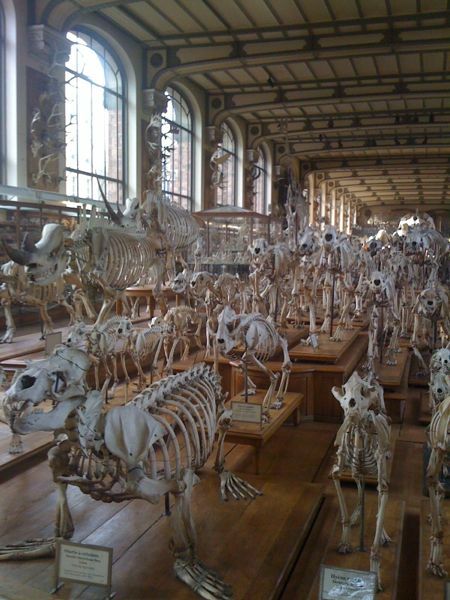 But if you’ve just a few days in Paris and you son doesn’t give any sign of being a natural scientist in the making, you better skip the musty parts like the museum of palaeontology, anatomy, mineralogy, entomology and paleobotany and head directly to the amazing Grande Galerie de l’Evolution located on the Southern edge of the Jardin des Plantes. 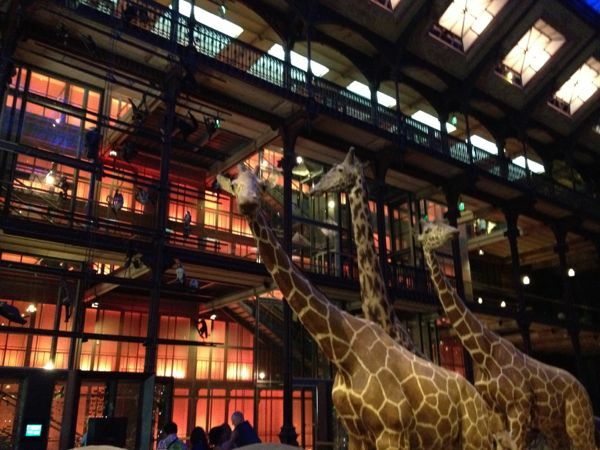 The renovated Grande Galerie is not only a scientific experience, it’s an aesthetic one. The Galerie looks like an immense Noah’s Ark. They all are here: elephants, rhinoceroses, and giraffes, apparently lining up to get into the boat. And this is not a masquerade. They are all true, they all are part of the old collection full of stuffed animals, a collection that goes back to the end of the 18th century. A good fairy had pulled them out of oblivion, removed the dust and arranged everything like a piece of theatre. Its title? The big spectacle of Evolution, I would say. 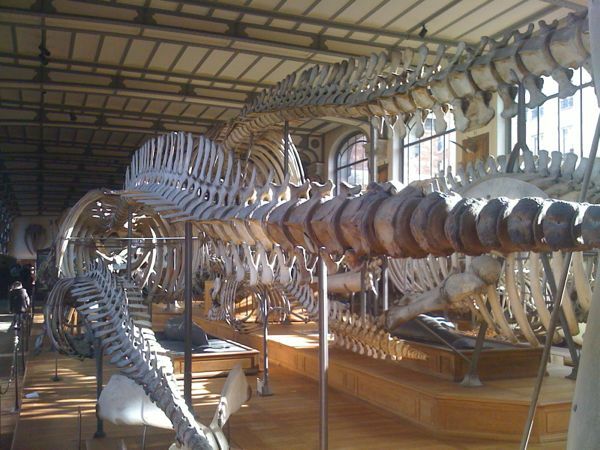 Just for the record: The National Museum of Natural History was created in 1793 during the Revolution, its origins, however, lie in the Jardin royal des plantes medicinales, the Royal Medicine Plant garden founded by Louis XIII. In the 19th century, it was one of the most important sites of scientific research and it still has this role today. If you still have any energy after the visit, head on to the ménagerie, a little zoo, on the North Western part of the garden. In case the kids are too tired, conclude the visit with a ride on a merry-go-round they won’t forget.